The free Tribeca Film Festival "Drive In", for which I've designed the sound system since 2004, is next Thursday-Saturday, April 19-21. 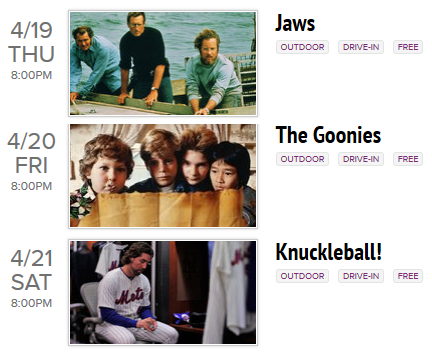 The movies this year are Jaws, Goonies, and the premiere of Knuckleball!. Details on all of them here. 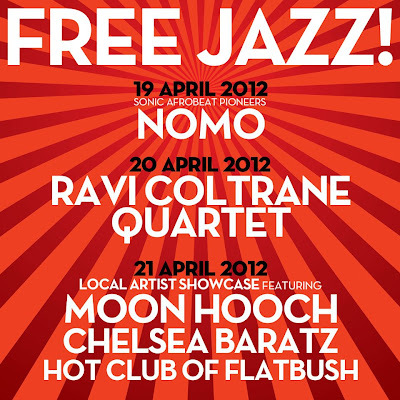 This year, before each show, my friends from the New York Downtown Jazz Festival are booking acts, so come early and check them out too! Pictures and write ups from previous years here. It's always fun, stop by and say hello if you come out!